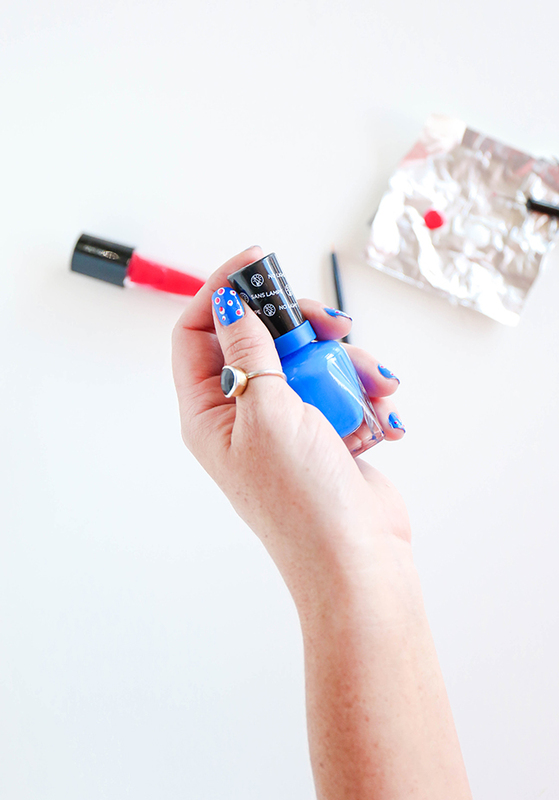 We’re getting ready for the Fourth of July over here, and what better way to prep than with a red, white, and blue manicure? Make it a family affair and do it with your daughter. 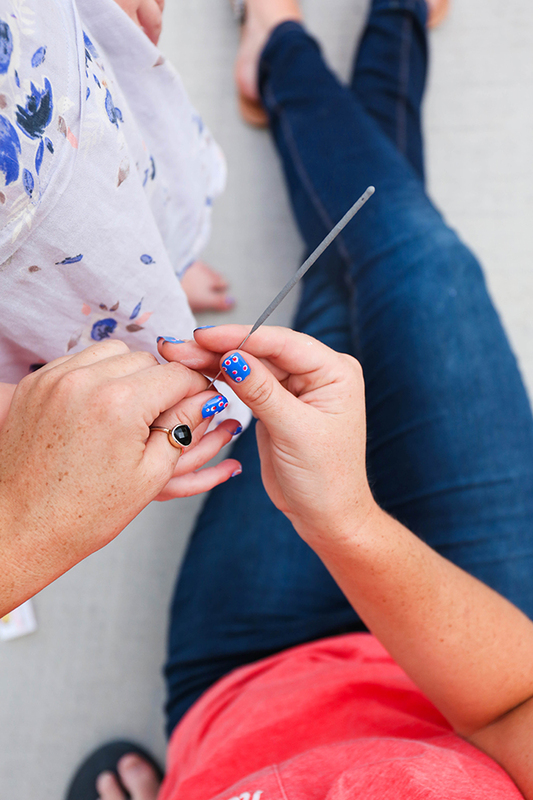 This technique requires no manicuring skills, and your kiddo will love matching Mom. 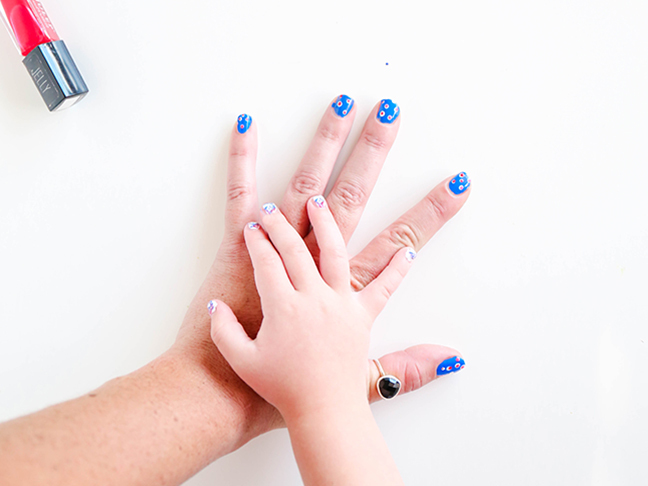 Painting nails with my daughter can be a challenge—so I’m always perfecting techniques that are easy to pull off, and leave a lot of room for error while still looking cute when we’re all done. Here’s my favorite nail art technique to pull off a 4th of July manicure for myself and my daughter. 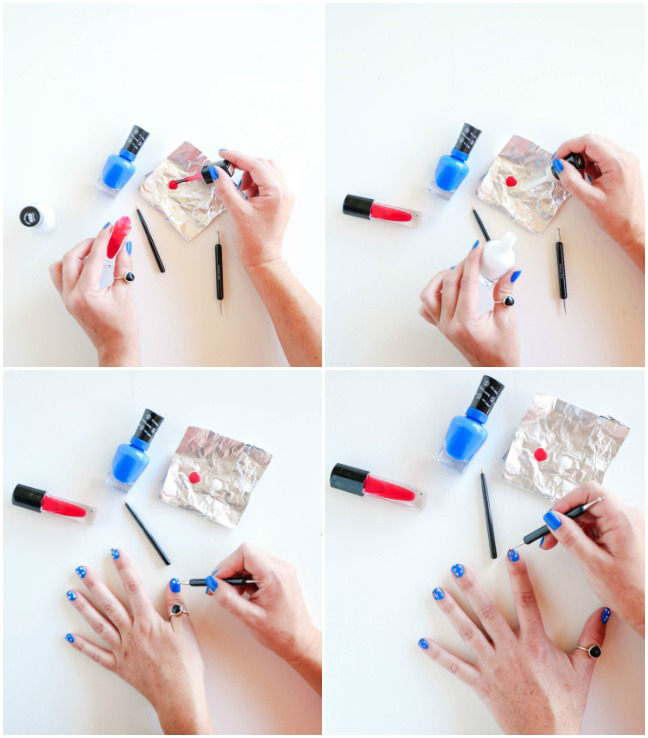 Step 1: Paint your nails blue and wait a few minutes for them to dry. Step 2: Pour a small dot of the red and white polish on the tinfoil. 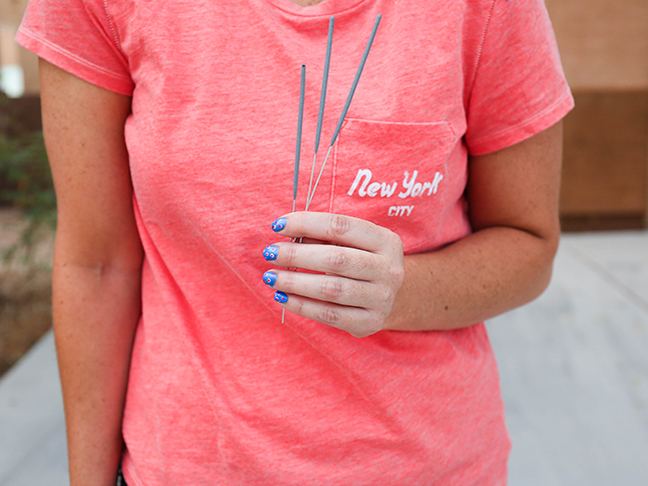 Step 3: Using the bottom of a toothpick or nail art tool, dip it in the white polish and place small polka dots all over each nail. Wait 30 seconds for it to dry. Step 4: Using the same tool, place a small dot of red inside each white polka dot and let dry. Oh! 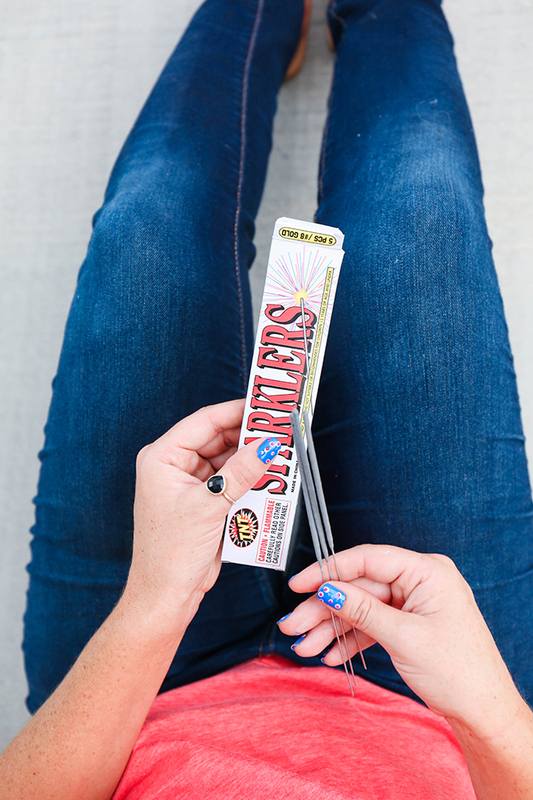 Baby, you’re a firework! Now, paint your daughter’s. 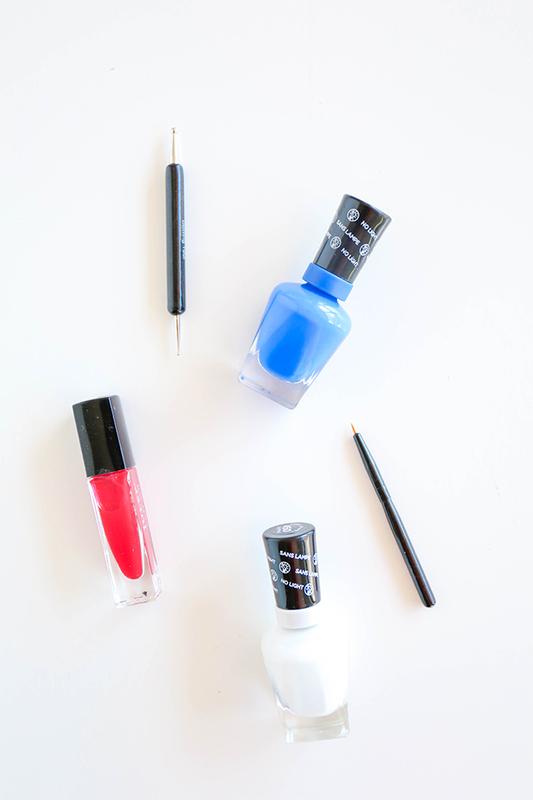 Step 1: Place a large dollop of white polish on each nail. Step 2: Immediately add a dot of red and then a dot of blue. 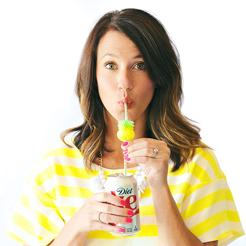 Step 3: Using a toothpick or nail art tool, gently swirl the paints together to create a mini marbleized look. Step 4: Wait a few minutes to dry to the touch and then paint a top coat over your nails and your daughter’s. What a perfect way to celebrate the Fourth.